On Saturday, June 10, from 10 a.m. to 2 p.m., the Sportsmen’s Alliance and Cabela’s will host their annual Family Adventure Day at 44 of the retail giant’s stores nationwide. Each store will have various activities ranging from hands-on archery and fishing stations to educational seminars about outdoor activities that entire families can enjoy together. 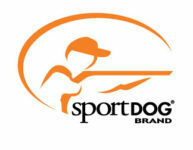 As part of the daylong celebration on June 10, the Sportsmen’s Alliance will run a special membership promotion. For anyone joining at a participating Cabela’s, they will receive the Protecting Membership level for just $35 – which includes a one-year membership, Sportsmen’s Alliance hat and bumper sticker, subscription to Sportsmen’s Monthly and custom-SA engraved Buck Knives PakLite Skinner knife. An extension of the Sportsmen’s Alliance Foundation’s Trailblazer Adventure Program, the Family Adventure Day offers a single day of experiences and education for youth and their families nationwide. Cabela’s, strong supporters of Sportsmen’s Alliance for decades, hosts and promotes the events at their stores, and Sportsmen’s Alliance volunteers run the stations and teach children about outdoor activities and skills. The Trailblazer Adventure Program is the largest outdoor program of its kind and has introduced more than 1.9 million youth to the thrill of outdoor sports since 2001. Through this exciting program, seasoned sportsmen and wildlife professionals provide hands-on firearm safety lessons, fishing instruction, archery programs, trapping demonstrations and more.